Similar looks of SRK, father and son! OMG SRK, his father and his son have such similar looks! Nobody has observed this, but we bring you the pix of SRK's father and son and you will be amazed to see the similarity among the trio. The lips portion and the nose, the frame of the face and the forehead are so similar. Fans have already started comparing SRK and his son, they do have similar looks and the junior Khan resembles SRK. Interesting part is that SRK also is so similar to his own father. We bring you the pix of the trio and you can compare the looks yourself! Bollywood Badshah Shah Rukh Khan has beaten some big name from Hollywood and has been listed as the second richest actor in the world in Wealth-X's Hollywood and Bollywood Rich List. According to Wealth-X's Hollywood and Bollywood Rich list, which was released on Wednesday, it listed comedian Jerry Seinfield in the top position with a fortune of $820 million. SRK takes the second spot with a fortune of $600 million. The third place was taken by Hollywood superstar Tom Cruise, who has an estimated fortune of $480 million, and Tyler Perry and Johnny Depp take the fourth and fifth place respectively with a fortune of $450 million. Actor Jack Nicholson is sixth with an estimated fortune of $400 million and is followed by Tom Hanks with $390 million. Bill Cosby takes the eighth spot with $380 million. With a fortune worth $370 million Clint Eastwood, 84, is the oldest actor in the list taking the ninth position, followed by Adam Sandler at the tenth spot with $340 million. Wealth-X is a source of intelligence on the ultra-wealthy with the world’s largest collection of curated research on UHNW individuals, defined as those with a fortune of US$30 million and above. what a story! like - father & son have never looked alike before? Heck, he didn't even charged money for his films. So, the earnings definitely come from his non-film stuff. 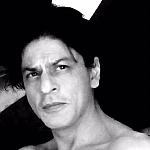 Bollywood actor Shah Rukh Khan has bought two miniplexes in Hoshiarpur, his wife's hometown, in Punjab. Shah Rukh's father-in-law Col. Ramesh Chander Chhibber originally hails from Patti village in Hoshiarpur district. Before migrating to Delhi in 1970, the Chhibbers lived in the Suthari road area of Hoshiarpur. Their house has now been converted into a shopping mall. Adding another feather to the town, actor Shah Rukh Khan recently invested in a local venture, buying a 75 per cent share in two miniplexes constructed by local businessman Shyam Sunder Sharma. Shyam Sunder Sharma told Mail Today that Gauri, Shah Rukh's wife, and her parents used to visit his shop before her marriage. "I am basically a cloth merchant. Gauri along with Col. Chhibber was a regular visitor. She was fond of fashionable clothes since childhood," Sharma said. Hotel Shiraj Regency where the two miniplexes of 99 seats each capacity have been converted is owned by Sharma. "I have built the miniplexes and now own 25 per cent of its shares. Rest is jointly owned by Shah Rukh Khan and Bollywood director Ramgopal Verma. We are waiting for the no objection certificate. we plan to inaugurate the miniplexes in June and have invited SRK for the inauguration," Sharma added. ^ good one sandy! Every aspect of what you're saying! Karan Johar threw his 42nd birthday bash at his residence last night. We saw A-listers like Hrithik Roshan, Aamir Khan among others entering the party and were quite surprised when we didn't spot Karan's good friend Shah Rukh Khan at the party. Well, a little birdie tells us that SRK was indeed present there. Yes, King Khan made a quiet entry and refused to be clicked by the shutterbugs. We wonder why that happened considering how media friendly Shah Rukh is! Filmfare editor, Jitesh Pillai who was also present at the birthday bash tweeted saying, "Happiness is @iamsrk. So good to see u last night. U work too hard but. After partying till 5 he's reached for a 7 am shift at film city"
There have been a lot of speculations about the growing distance between Karan and Shah Rukh. All those rumours were further proved right when Shah Rukh did not feature on this season of Koffee with Karan. However, Karan who still considers SRK closest to his heart had something else to say. To top it all, after hearing about Shah Rukh attending his birthday bash, we are guessing all's good. Shah Rukh Khan and Hrithik Roshan had a tongue-in-cheek repartee at KJo's birthday bash. Karan Johar's birthday party on Saturday night saw Shah Rukh Khan and Hrithik Roshan indulge in some friendly banter. Shah Rukh entered the party at KJo's new Bandra residence, and was soon puffing away in a corner, chatting with Manmohan Shetty's younger daughter Aarti. Minutes later, Hrithik Roshan entered and immediately started a conversation with Jacqueline Fernandes. Soon, Hrithik too wanted to light up but upon searching his pockets, he realised that he had left his cigarettes at home. He looked around, spotted Shah Rukh and approached him for a cigarette. The actor obliged but the offering was made with a comment which took Hrithik by surprise. "Yeh acting wali cigarette hai. After smoking this you will learn how to do this," said Shah Rukh, making his signature gesture of opening his arms wide open. Hrithik walked away with the cigarette in hand. And the party continued uninterrupted. "The people around froze" ? Good grief, a couple of friends were joking around with each other. Isn't Lalwani the guy SRK can't stand? Although American comedian Jerry Seinfeld topped Wealth-X’s Actors Rich List last week, that wasn’t the name that grabbed international headlines and drove 27,870 unique visitors to Wealth-X’s website, including more than 10,000 in one day! The man responsible for the influx of visitors and the worldwide media coverage is “Bollywood King” Shah Rukh Khan. Ranked at number 2 – and with an estimated US$600 million personal fortune – the Indian actor was the only Bollywood star on the list. More importantly, SRK (as he is known to his fans worldwide) came out on top of Tom Cruise, who was ranked 3rd with a personal fortune of $480 million, and Oscar winners Tom Hanks (US$400 million), Jack Nicholson (US$390 million) and Clint Eastwood (US$370 million). This was the main point emphasized by various Indian media outlets such as the venerable Times of India newspaper, which is read by 40 million readers globally, and the Press Trust of India, the country’s national press agency. Broadcasters in India such as NDTV and BBC India also reported the Wealth-X Rich List. The Shah Rukh Khan story also received massive international media coverage such as this article in The Guardian, ABC News America, Time Magazine, Huffington Post Canada, Hong Kong’s South China Morning Post, Saudi Arabia’s Arab Newsand Czech Republic’s e15.cz website. Indian cricket legend Sachin Tendulkar and Bollywood heartthrob Shahrukh Khan are among the 100 most "obsessed-over people" on the web, according to a list compiled by Time magazine. The list is topped by former US President George Bush who has a score of 65.6 points. His successor President Barack Obama comes in at the second spot with 45.3 points. Tendulkar is ranked 68th of the list and has 23.98 points. Khan, however, comes in at the penultimate rank of 99 with a low score of 22.07. Pakistan Prime Minister Nawaz Sharif is one rank above Khan with 22.08 points. The list also includes singer Madonna on the number three spot followed by Beyonce (4), former Secretary of State Hillary Clinton (11), Russian President Vladimir Putin (27), Serbian tennis player Novak Djokovic (61), Pope Francis (70), Formula 1 driver Michael Schumacher (77) and talk show host Oprah Winfrey (95). The rankings was compiled drawing parallels from the magazine's annual 100 most influential people in the world list. The list was compiled by collecting data about the global leaders and celebrities online and from their Wikipedia pages. Factors that were taken into account in compiling the rankings were number of links to other Wikipedia pages, number of external links, number of categories the person is in, total number of revisions to the page, number of unique individuals who have edited the page and number of anonymous edits. Shah Rukh Khan's rise from being a TV actor to becoming the second richest actor in the world with a net worth of $600 million, makes him an interesting subject for an inspirational chat show. No wonder then that Anupam Kher has invited the superstar for his show "...Kucch Bhi Ho Sakta Hai". The actors will shoot here Thursday for an episode that's likely to air on Colors in July. According to a source from the show's set, "Anupam Kher has been very keen to feature SRK on the show because the story of his rise to fame is one of the most inspirational and endearing ones". "SRK has been busy with his cricket-related commitments, owing to which he hasn't shot for the show yet, but he is also looking to reunite with his on-screen father from 'Dilwale Dulhania Le Jayenge'. They share a great rapport and the shoot promises to be a treat for audiences when they get a glimpse of it." The show, an extension of Anupam's eponymous autobiographical play, highlights inspirational stories of popular Bollywood celebrities, who come and share their journey - its challenges and testing times. Anupam himself has produced the show. On Monday, Ajay Devgn, who was shooting at a school in Bandra, got an unexpected visitor on the sets — Shah Rukh Khan. The latter was driving past Mehboob Studio when he spotted Rohit Shetty's Man Friday, Subhash. In his flamboyant style, he rolled down his windows and asked the valet what he was doing in the area. Subhash informed him that Ajay Devgn, Rohit and Kareena Kapoor Khan were shooting at a school close by and he was doing some miscellaneous shopping for them. Instead of heading to Mannat, SRK took a slight detour and went over to the Singham Returns shoot. He surprised everyone by walking up to Ajay and giving him a warm hug. Those present on the set state that Rohit and Kareena's jaws dropped on seeing the bonhomie between the two superstars, who had had a bitter fallout during the clash of their Diwali releases — Jab Tak Hai Jaan and Son of Sardaar in 2012. While Rohit has always wanted the two most important men in his life — Ajay and SRK to warm up to one another, what happened on Monday in Mumbai left him stunned. This meeting was unexpected, spontaneous and emotional. Barack Obama and Shah Rukh Khan the most admired dads? In a recent survey ahead of Father’s Day, US President Barack Obama and Shah Rukh Khan have been voted as the most admired dads. Father’s Day falls Sunday. Matrimony website Shaadi.com conducted an online survey with over 5,500 respondents to find out who the most popular father is. When Indian women were asked about the country’s most popular father, SRK, who has three children, got the lion’s share of votes, while Obama topped the charts when the ladies were asked about famous fathers of other nationalities. Interestingly, 42.5 percent of the women surveyed voted for Shah Rukh as ‘India’s Most Popular Father’, followed by master blaster Sachin Tendulkar, who got 36.9 percent votes and then Bollywood megastar Amitabh Bachchan, who received 20.6 percent votes. When the women were asked to vote for ‘Most Admired Dad’ from famous fathers of other nationalities, 40.3 percent of them chose Obama, followed by musician Will Smith (31.4 percent), former football ace David Beckham (15.2 percent) and tennis champion Roger Federer (13.1 percent). The respondents were also asked to choose ‘India’s Most Admired Father-Daughter Relationship’. As many as 43.2 percent of them voted for the camaraderie that Shah Rukh shares with his daughter Suhana. The duo was closely followed by Mahesh Bhatt and Alia Bhatt (27.3 percent), Prakash Padukone and Deepika Padukone (17.2 percent) and Anil Kapoor and Sonam Kapoor (12.3 percent). When it came to the ‘Most Admired Father-Son Relationship’, 33.4 percent Indian women voted for Rishi Kapoor and Ranbir Kapoor, followed by Amitabh and Abhishek Bachchan (31.2 percent), Shah Rukh and Aryan (23.3 percent), and Sunil Gavaskar and Rohan Gavaskar (12.1 percent). That's sad. He always says its the one that matters the most to him. I hope its not true. While a lot has been spoken about the rift between Shah Rukh Khan and Karan Johar, on the work front there seems to be some development. Karan Johar has reached out to Shah Rukh’s Red Chillies Entertainment for the VFX of Ayan Mukerji’s next superhero flick starring Ranbir Kapoor. A source said, “The preparations for Ayan’s film has already started. There is still a lot of time for it to go on the floors, it needs ample of pre-production time as well. It has a lot of action and will need a lot of VFX. Ayan also has plans to go to LA to understand VFX in detail so that he can shoot his scenes better. Karan asking help from SRK for a Ranbir Kapoor film — this one is a collaboration to watch out for. i vaguely remember all abt that- could u please refresh my memory? In our (Watch out SRK, RK to enter?) June 16 edition, we had carried an article saying Shah Rukh Khan may stop endorsing a luxury watch brand. However, well-placed sources with the brand deny the reports, saying their association with the superstar is going strong and there's no parting of ways. "The question of replacing him doesn't arise," says a source, adding, "We've had a great association with our brand ambassador Shah Rukh Khan for over 10 years and we're looking forward to continuing this relationship going forward as well." The desperate PR attempt by the other actor should rest in peace for now. This is a no chips, outdated soft drink kind of a deal. please i would also like to know too. I have always wondered why srk was dropped from Pepsi when the promos & product was doing absolutely fine. I thought pepsi wasn't existing again in india until later i found out it has Ranbir as the brand ambassador. But even with Ranbir, the product doesn't feel popular as it used to be! What actuallly happened. I don't think it's that big a deal personally, brandings and sponsorships changign is so common normally. Truth to be told, I don't even know which brands SRK has right now and which he doesn't. Yes Pepsi did have SRK for a really long time so it was surprising and a bit sad but I dont' think we should take it so personally. In a way, they had a relationship for so long is in itself creditable. But it would have ended sooner or later. They couldn't have him forever. They just decided to go with someone younger and to be fair, Ranbir is the most likely candidate for the next biggest star at the moment (though I don't even like him that much), so I wouldn't even call it a bad choice from a marketing point. They probably wanted to grab him before anyone else. And perhaps having both stars wasn't worth it for them so they decided to go for the future prospect. Not that I buy Pepsi anyway, i tend to get coke most of the time, so not saying I support them. But I guess I don't exactly hate them specifically for it.My liking of brands certainly isn't dependent on who they sponsor. Shah Rukh Khan is now going to be honored by France in the Highest Distinction for his contribution to cinema. The actor is being conferred as the ‘Legion of France’, highest honour among Civilians and Military. To honour the star as Officier de la Legion d’Honneur (Officer of the Legion of Honour), French Foreign minister Laurent Fabius is all set to fly down to India. However, SRK is not the first one to have been conferred with this title, other eminent personalities such as Amitabh Bachchan, Lata Mangeshkar and Satyajit Ray in the past have been honoured for their contribution as well. The France foreign minister will be first visiting Delhi to have a word with the Indian counterpart, Sushma Swaraj. Post this meet, he will fly down to Mumbai to give the French honour to Shah Rukh Khan. Well, congratulations SRK for adding another feather to your cap!